Jason Hassel has a birthday today. 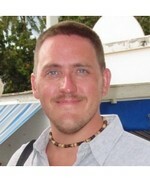 Jason Hassel joined via Class Connection Facebook app. Max waiting for the soccer game to start. Sarah, David, and Max at El Yunque in Puerto Rico.